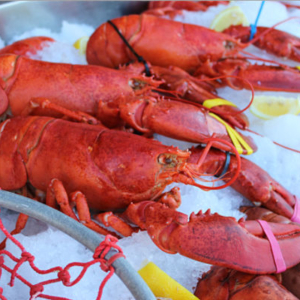 Taste the tradition of a classic New England Style Clambake anywhere! Now you can share the classic taste of Woodman’s with friends, family, and customers all over the Continental United States with a mail order clambake for two, four, six, or even eight! Order lobster clambakes online? You better believe it! Plus steamer clams, fresh corn, seafood forks, bibs, wet naps, and even claw crackers. We package everything you need for the ultimate mail order clambake and ship it right to your door, along with cooking instructions so you can enjoy that real, authentic Woodman’s flavor right in your own kitchen. From our shore to your door! Guaranteed Live and Fresh via Two-day Shipping by FedEx, and guaranteed delivery by PeriShip (within Continental US). ORDER NOW!